Al Qaeda has hit again in northern Mali killing at least 14 Malian soldiers and wounding 18 others in the worst attack on security forces in the West African country in more than a year. Malian military Spokesperson said that 17 terrorists were killed on the scene of the attack, which targeted a military base in the Timbuktu region. The attack took place on the eve of the fifth anniversary of the French military operation to oust the terrorist threat in northern Mali. Al-Qaeda fighters in coalition with the Azawad movement took control of the vast desert in northern Mali in early 2012, but were largely driven out in a French-led military operation launched in January 2013. In recent years, the Sahel has become a breeding ground for several terrorist groups taking advantage of vast swathes of deserts and porous borders to engage in various terrorist, trafficking and criminal activities. Radicalization and human trafficking are major threats in the impoverished region, where Al Qaeda and associated groups have a significant presence, while the Islamic State militant group (ISIS) also appears to be staking a claim in the volatile region. 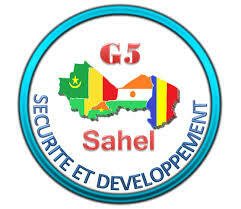 The surge of terrorist groups in the Sahel has propelled five countries in the region -Niger, Mali, Chad, Burkina Faso and Mauritania- to form the G5 military group comprising up to 5,000 military, civilian and police personnel, with headquarters in Mali. Posted by Pawla Nibramich on January 28, 2018. Filed under News, Zoom. You can follow any responses to this entry through the RSS 2.0. You can skip to the end and leave a response. Pinging is currently not allowed.